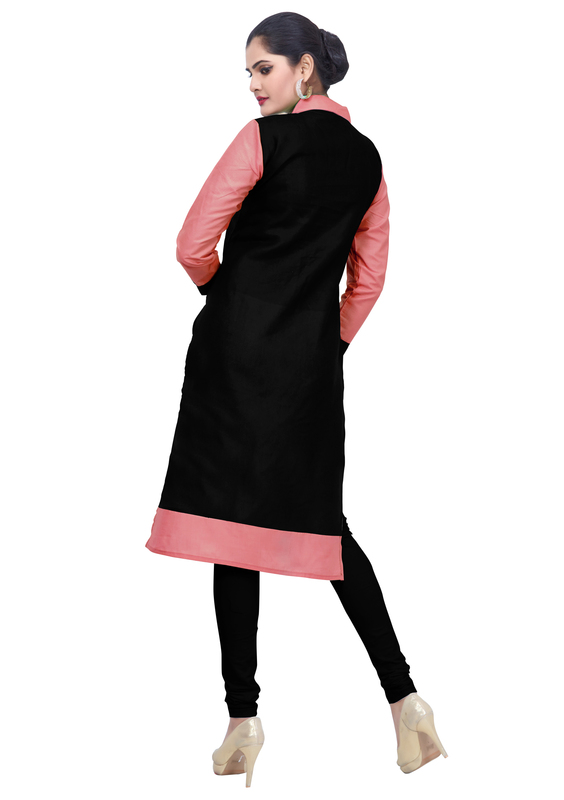 Flaunt sartorial elegance wearing black and peach coloured casual kurta. 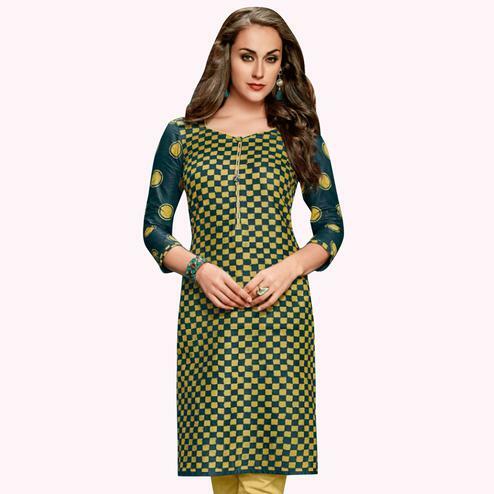 This kurti is fashioned on cotton fabric with latest shawl collar design & style that gives an attractive look to the wearer. 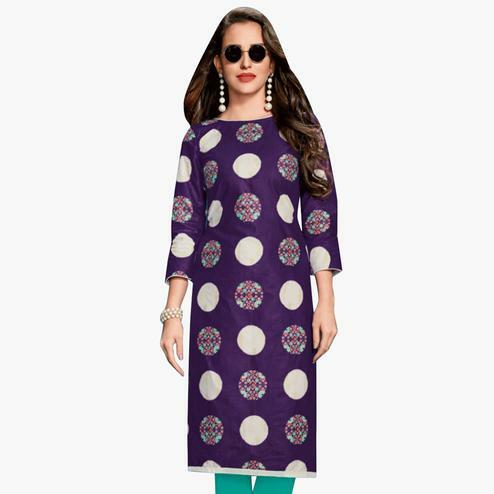 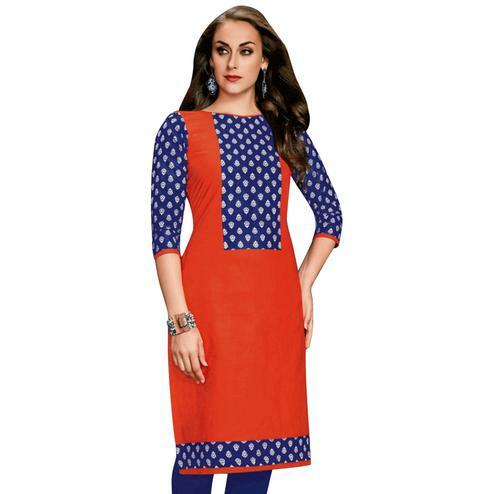 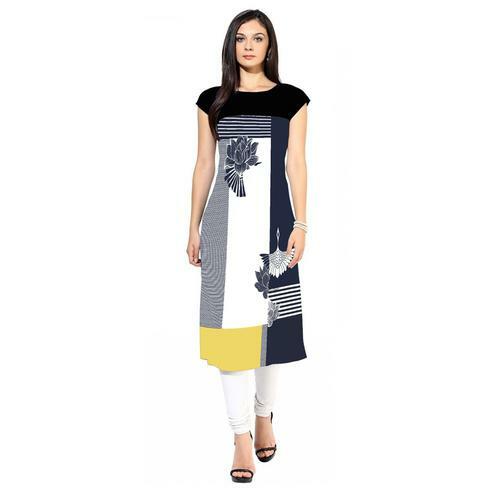 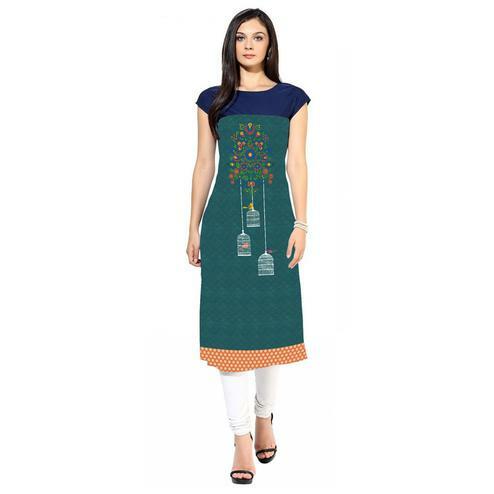 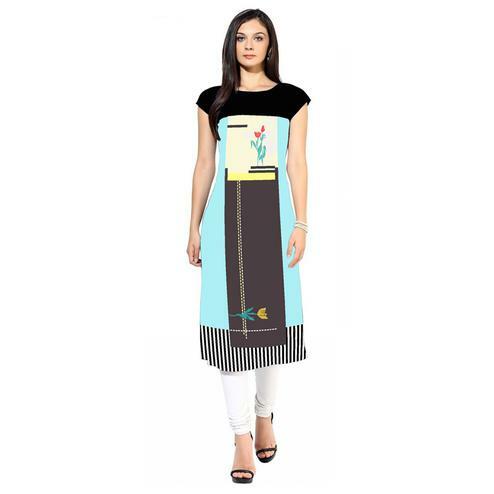 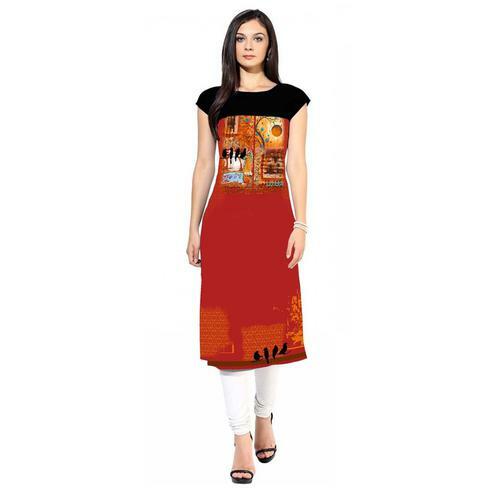 This stitched kurti is perfect to pick for casual wear, office and weekend outings. 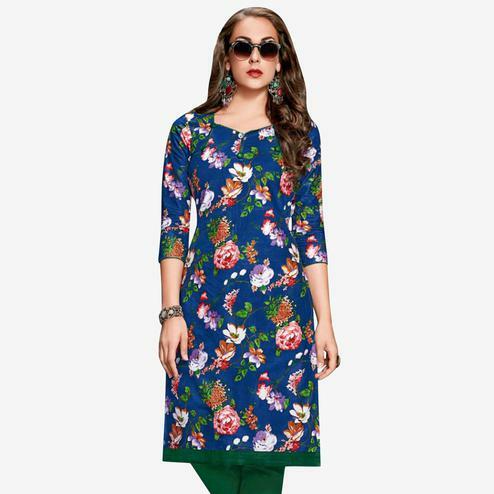 Pair it with matching legging and with stylish accessories to make the look more outstanding.